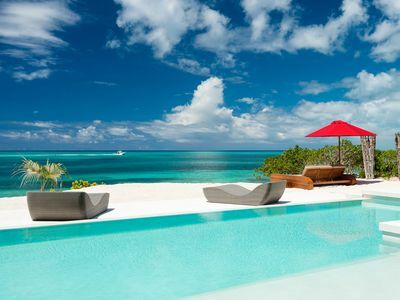 Villa Beach House at Hawksbill Turks and Caicos. 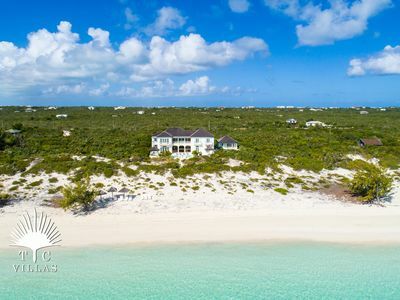 A cozy beach house sitting on what has been called the most beautiful beach in the world is only one reason you will be interested in a stay at Villa Beach House at Hawksbill. 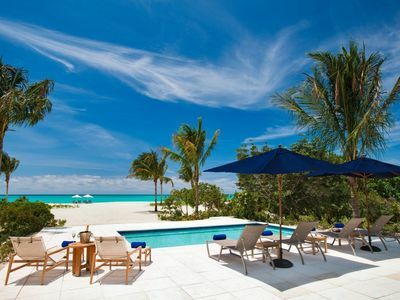 Resting right on the sands of Grace Bay in Turks & Caicos, this charming two-bedroom property was recently and flawlessly renovated to offer guests a welcoming, casual and yet impressive place to enjoy the island.Relying on classic Caribbean lines and style, this one floor villa is the perfect escape for a small family or pair of couples. 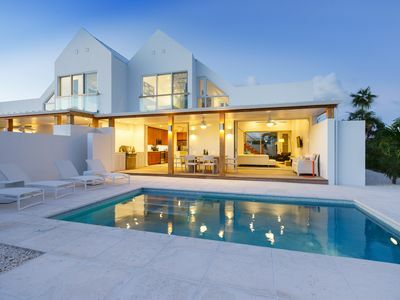 It delivers an idyllic blend of shared and private living spaces, as it sits in its lovely private gardens. 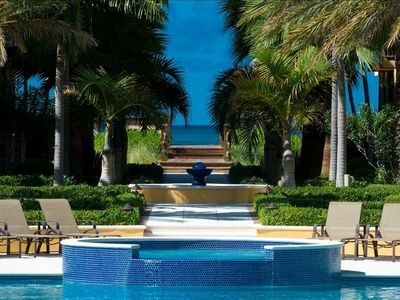 The pool and sundeck are a favorite, but you may find yourself spending even more time beneath the shade of the wrap around porches with their comfortable furnishings and non-stop scenery.When you do go inside, the great room offers a fun and colorful place to gather. With the modern and appealing kitchen that opens into the dining room and living room, you won't miss a moment of the fun. 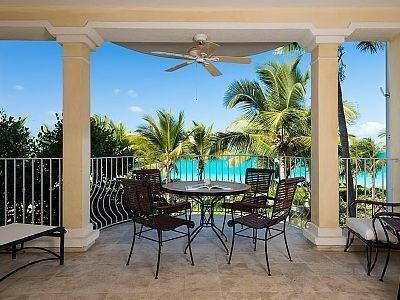 Because this is also open to the views and the porches, it is as if you are not indoors at all!The two bedrooms of the villa are both master suites. 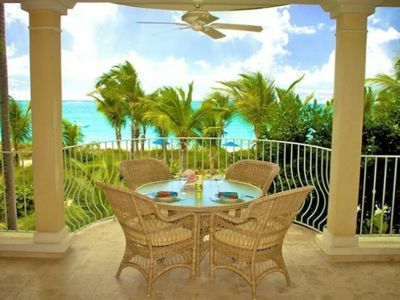 They feature king-sized beds and enormous patio doors that open directly to the screened porch. 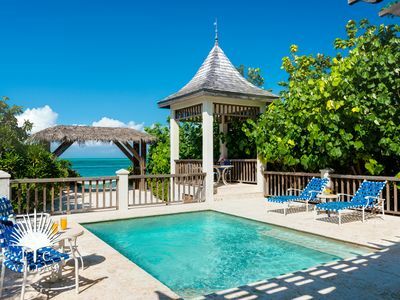 Don't miss a single second of those coveted trade winds and wake to the sound of the sea.As part of a historic and opulent estate, the Villa Beach House at Hawksbill is a rare treat. 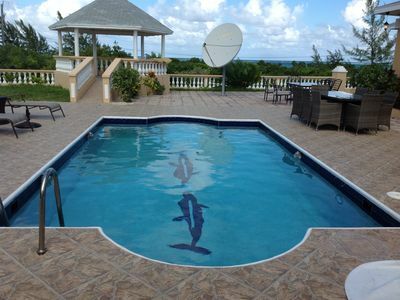 If you wish to book a larger event or family retreat, you can also rent it together with Villa Hawksbill. 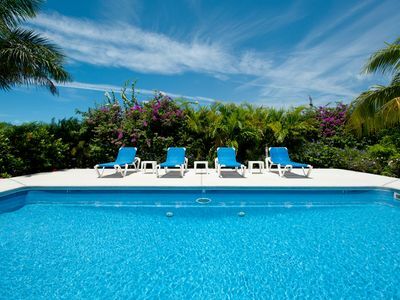 Together, they form 10 bedroom property - villa Hawksbill Estate. 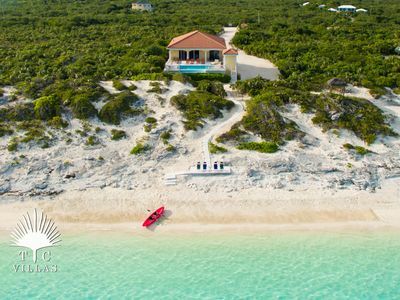 Either way, it is a wonderful find and this cozy villa will quickly become a place you yearn to revisit again and again.Construction Notice: A new villa is being built on the adjancent lot to villa Beach House. 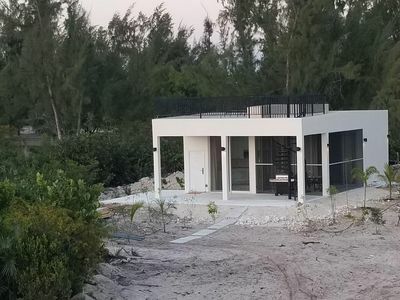 A privacy screen is in place between the two lots but noise from construction may be an issue at times. 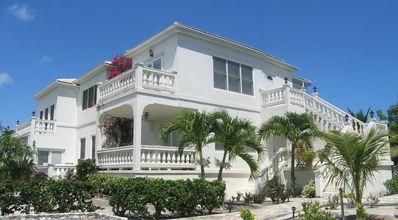 Villa 203: 2 Bedrooms, 2 Bathrooms, 2nd Floor Ocean Front (SLEEPS 4-5) See what's new! 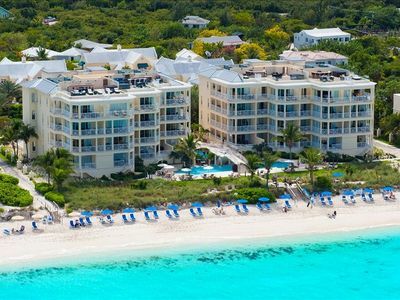 up to 35% Off Rack Rates Now - February 5, 2019 -- BOOK A WEEKEND GETAWAY! 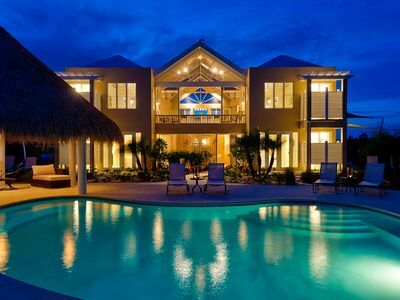 Luxury villa. 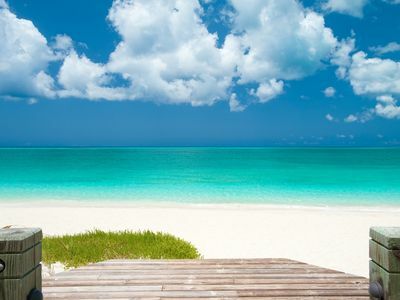 Steps to Grace Bay Beach! 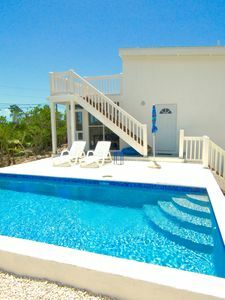 2 BR Villa with Private Pool! 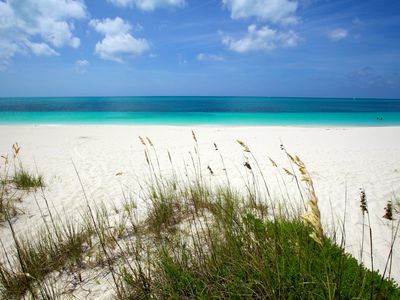 Walk to Long Bay beach. 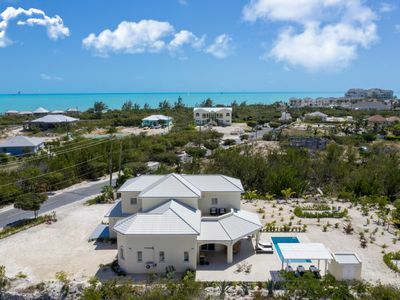 Short drive to Grace Bay! 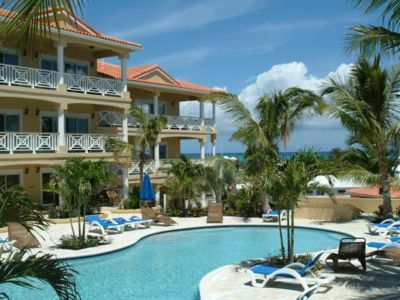 Resort Condo Located on Grace Bay Beach - Trip Advisor #1 Beach in World!!! Great Deals! 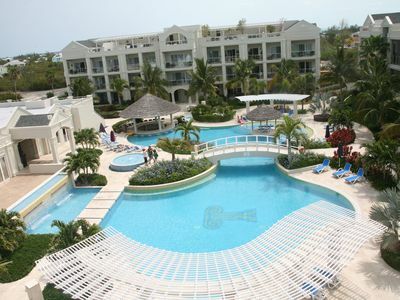 Large Oceanview studio located in Queen Angel Resort!